“A person’s own will is crucial for parenthood. It is important that the person believes in the future and that he or she can cope with children no matter what happens. You never know about life. It is important to know that you will get support in hardships,” says Katri Viitasalo. Katri Viitasalo is a university teacher of social work at the Kokkola University Consortium Chydenius. Last spring, she completed her dissertation about mothers’ possibilities to function. She studied the financial choices faced by mothers of small children. Social services and benefits may enhance people’s abilities to function and their trust in their ability to cope. Mothers’ trust in their coping is weakened by uncertainty regarding support and the possibility to share financial burdens. “The recently rejected family leave renewal concerned parental leaves and responsibilities as well as how they are shared. It also related to the types of support offered through social benefits and how employment is supported in families with children. It would be important to strengthen fathers’ participation in family responsibilities and parental leaves and to create family support for situations in which they meet with adversity. As a rule, it should be ensured that the parents of families with children can trust in their ability to cope. The question is about money and power – about who pays the costs resulting from the family. This is why the question is so difficult. 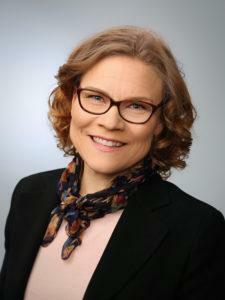 In her work, Viitasalo continues to develop financial social work. Currently she is starting a study on how difficulties to earn a living and financial issues are treated in social work. “When the basic income support has been transferred to Kela, it has been observed that money issues and problems did not disappear from social work. And they will not, because money problems are connected to social problems and financial matters are very central in life,” she says. At times it seems that the processing of income matters in social work has become more complex after the move to Kela. People without income seem to leave without income support and timely help. In concrete terms, financial social work for a young person can mean that you get help in learning to monitor your use of money, make budget calculations, practice completing a tax return and pay bills from your own account. Your ability to function is improved when you get information on matters related to finances, such as saving, interests, loans, debt arrangements and instant loans. It also helps that you learn to recognise your attitudes related to the use of money: feelings that guide your spending and financial behaviour. People have a lot of hopelessness and anxiety over money issues. When money is tight for a long time, it affects your mind and ability to function. You stagnate and lose your hope and faith in a better tomorrow. “The longer you have carried the burden of hopelessness in yourself and felt helpless, the more complex the knots are when you start to open them,” Viitasalo describes. Sometimes social workers concretely open plastic bags that are full of unpaid bills and letters from debt collection agencies. After clarifying things out, it is often realised that the money situation is not that hopeless at all. Many times money problems are related to other problems in life such as alcohol, drugs, mental problems, loneliness, violence or gambling. Often the question is about general life management and the skills related to it.